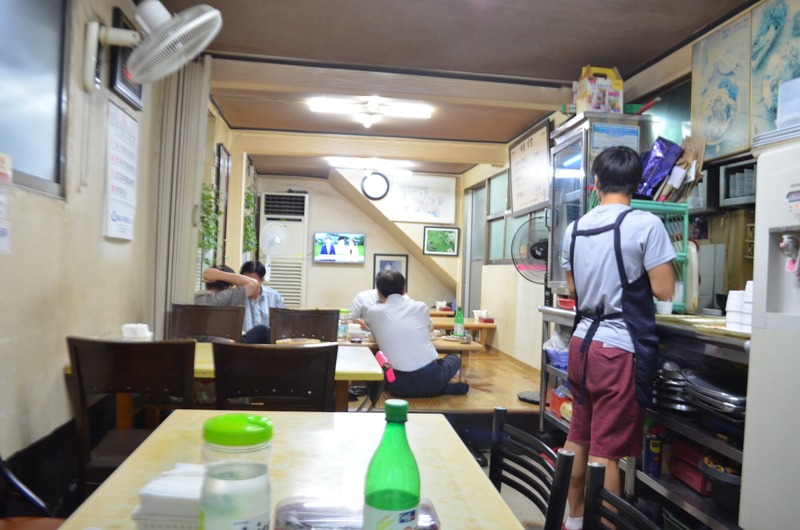 It’s been over two years since I visited this humble restaurant near Samgakji Station, but thankfully little has changed during that time. 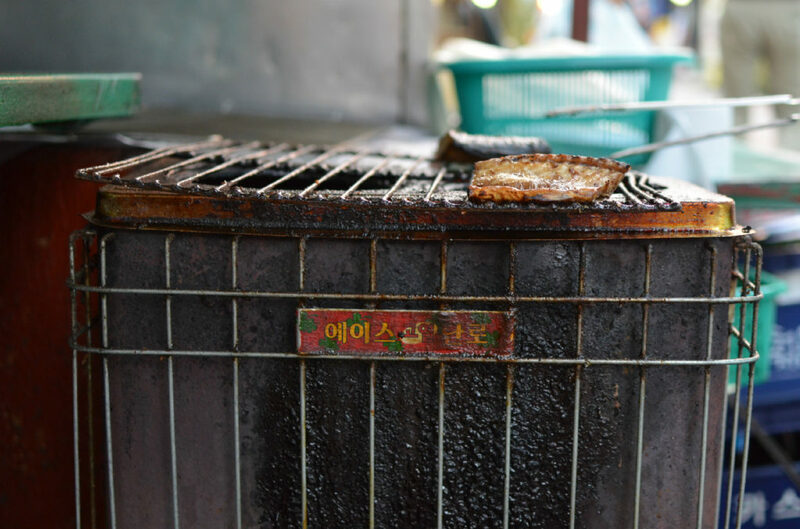 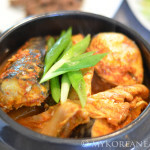 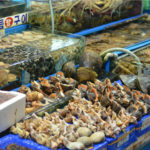 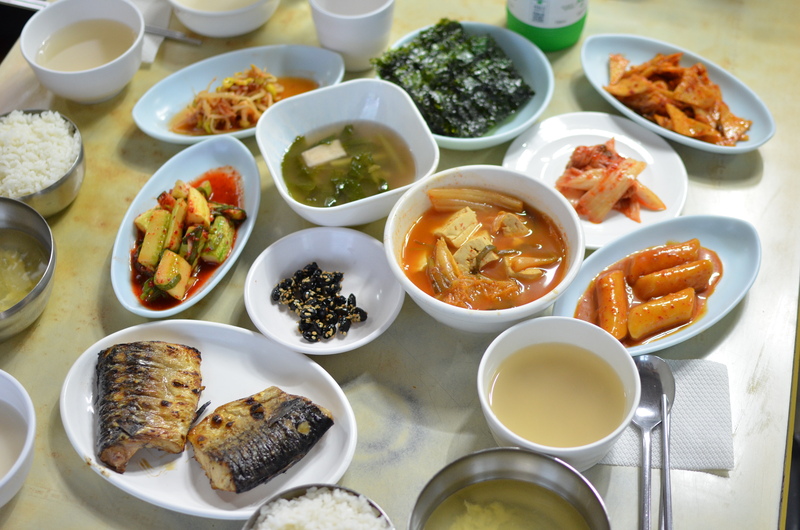 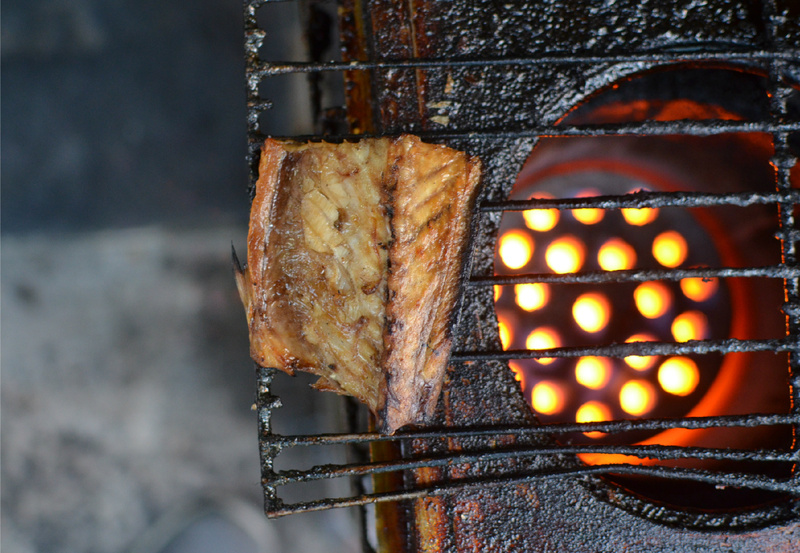 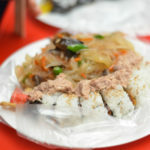 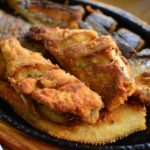 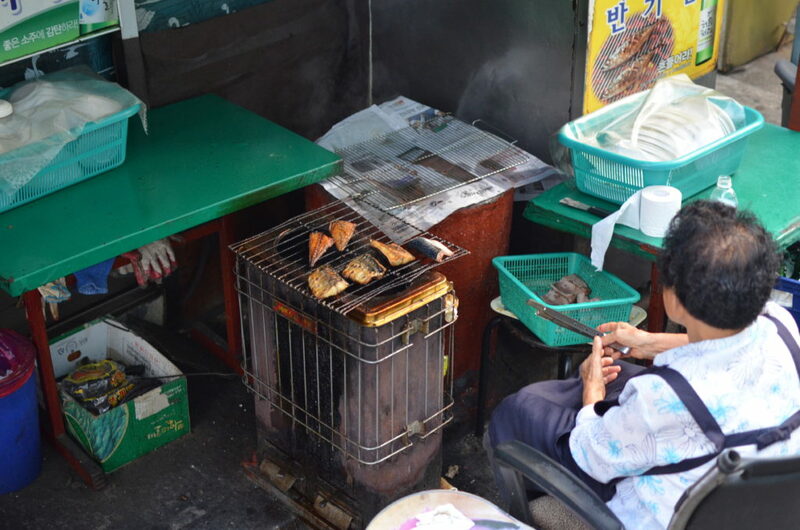 The aging halmoni (“grandmother”) continues to hand-grill her specialty item, godeungeo (mackerel), and she still has an uncanny ability to remember annoying customers like me who ask way too many questions for the purpose of this blog. 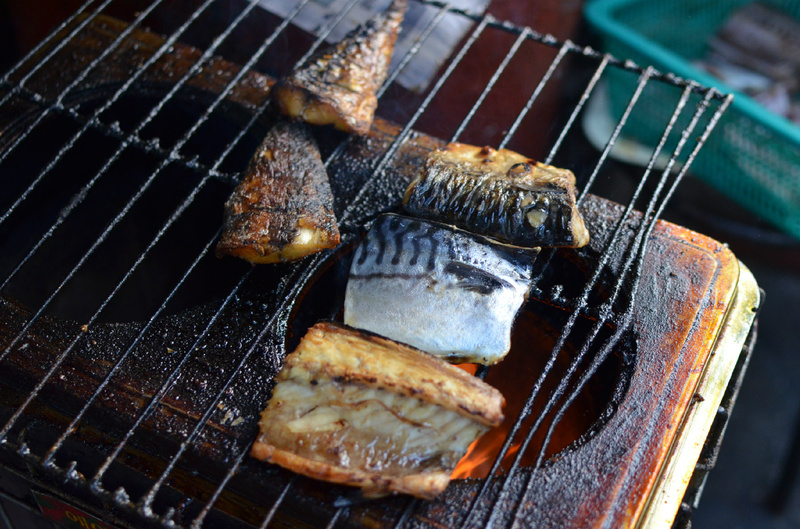 But, what’s even more impressive was seeing her outside grilling each piece of salted mackerel in this record-breaking heat, easily making her a superwoman of sorts (yes, it’s that hot here.) 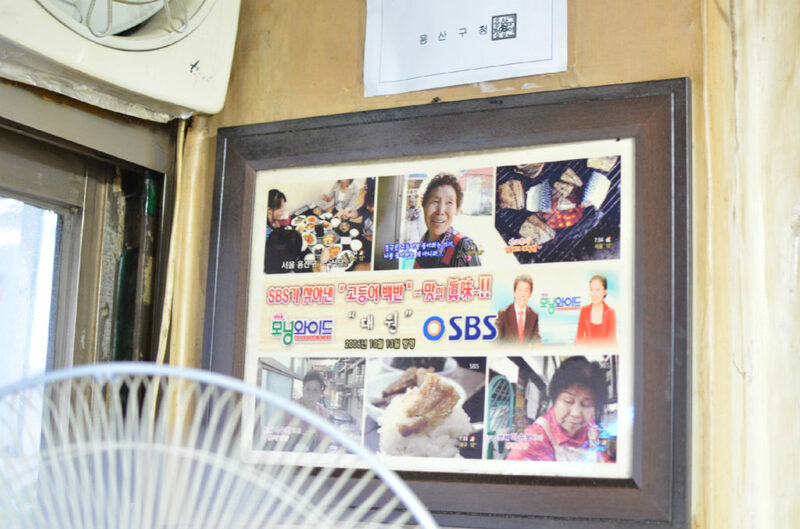 As always, the halmoni was in great spirits and full of talk, and even better, she looked younger and healthier than before despite turning 80 years old this year. 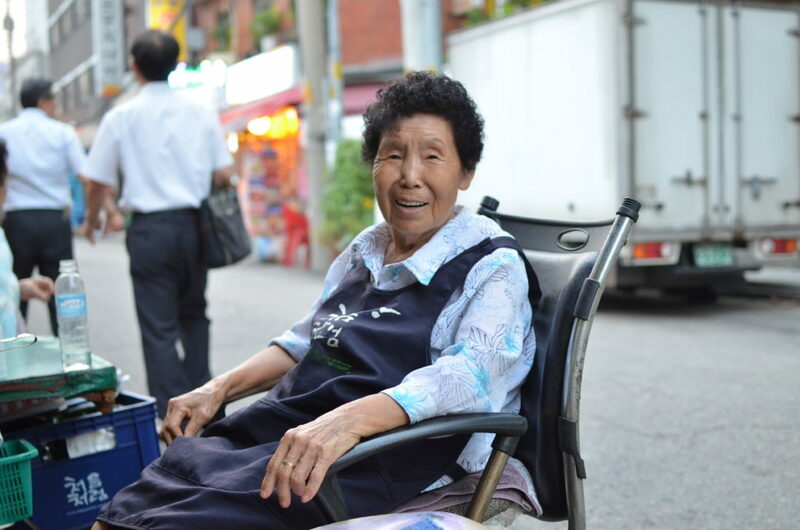 When asked about her secret to staying young, she said it’s all about keeping active with work and finding something that you enjoy doing. 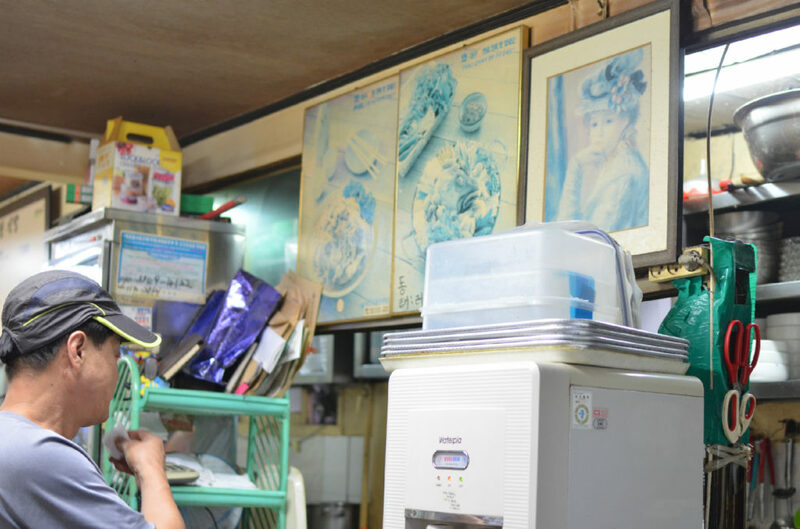 Sticking to her word, she said that she would keep working until the very end, meaning great news for many regular customers who have grown up eating her simple yet delicious homestyle meals. 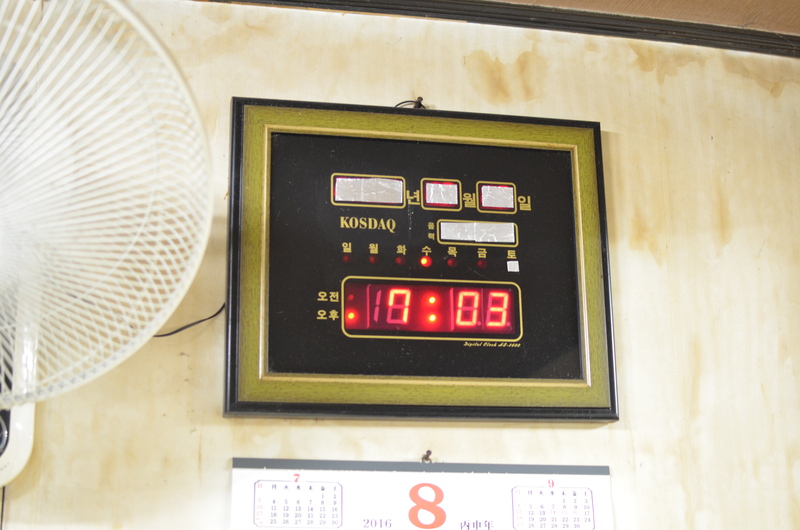 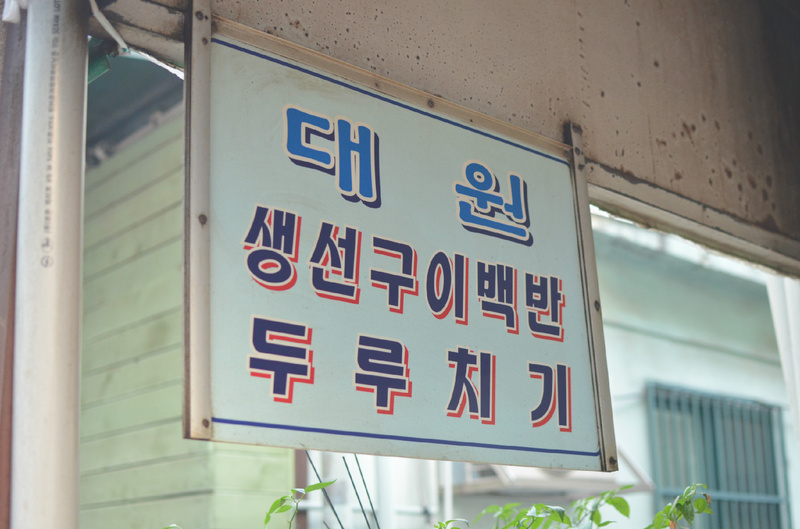 Open for about 40 years, Daewon Sikdang serves a healthy set meal called baekban, which consists of rice, soup, a wide variety of banchan (side dishes), and a piece of grilled mackerel — all for a modest 7,000 won. 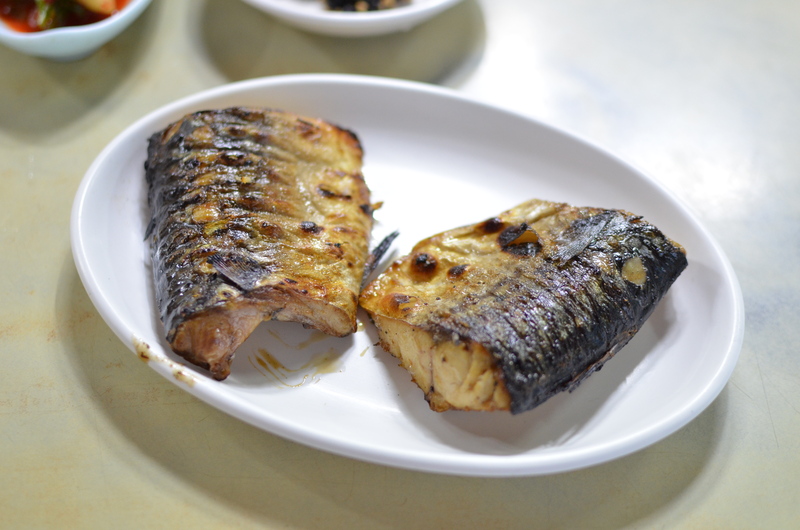 The salted mackerel is cooked perfectly over coal briquettes (yeontan), slightly charred on the outside but moist and tender on the inside. 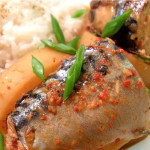 While quite a few places serve pre-packaged mackerel that tend to be overly-salted, that’s not the case here. 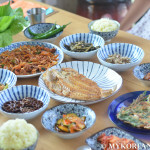 The halmoni seasons each fish herself to maintain quality and taste, which is quite impressive but not at all surprising. 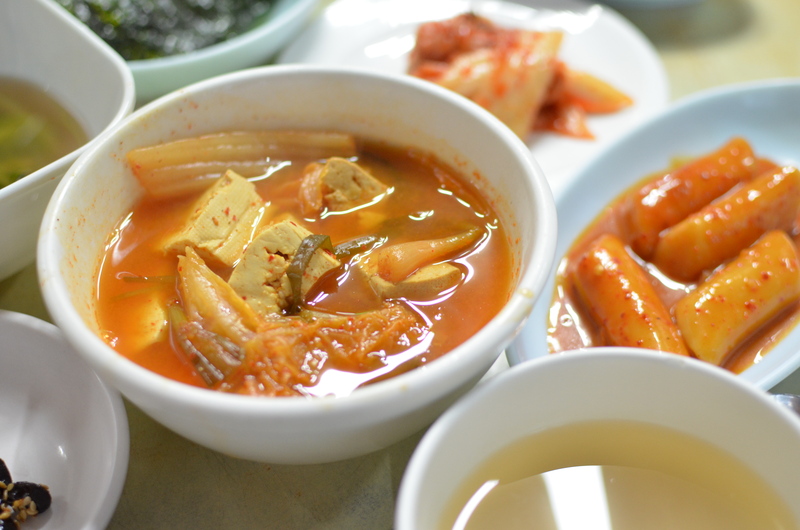 Even though we brought our appetites, we had a hard time finishing off the entire 2-person meal mostly because of surprise extras like kimchi jjigae (kimchi stew) and tteokbokki (spicy rice cakes). 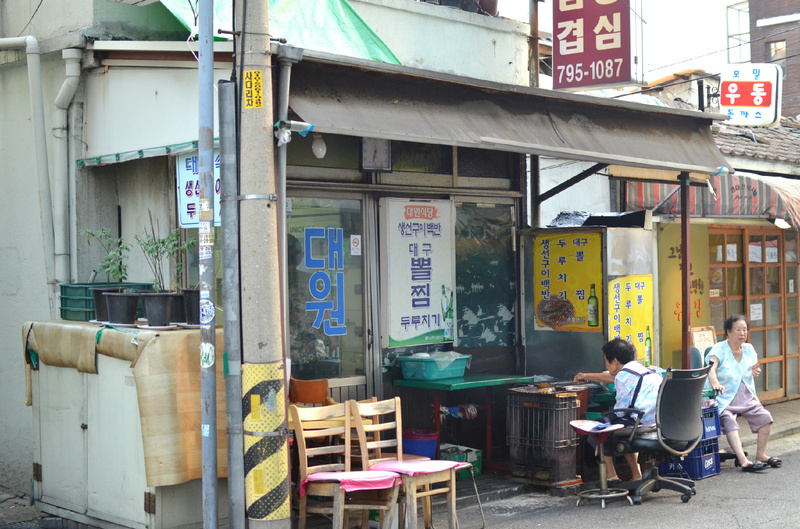 Now that we’re within walking distance from the restaurant, we’ll definitely bring our appetites on our next visit. 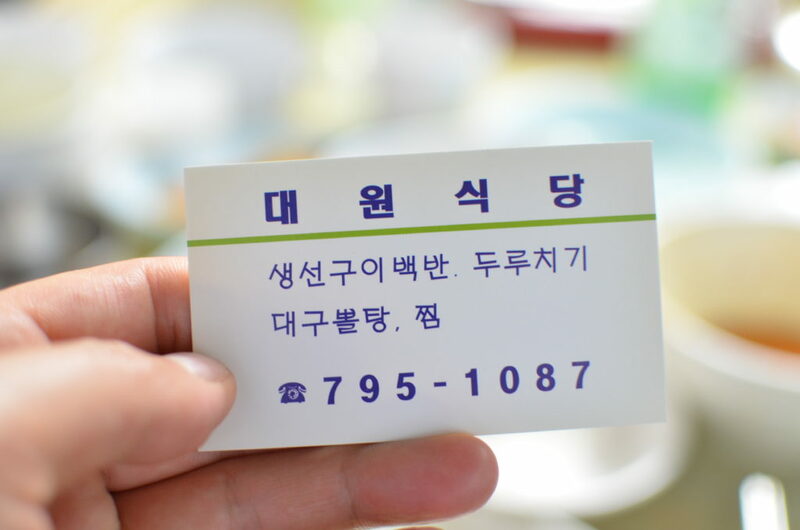 And who knows, maybe we’ll enjoy some drinks (i.e. 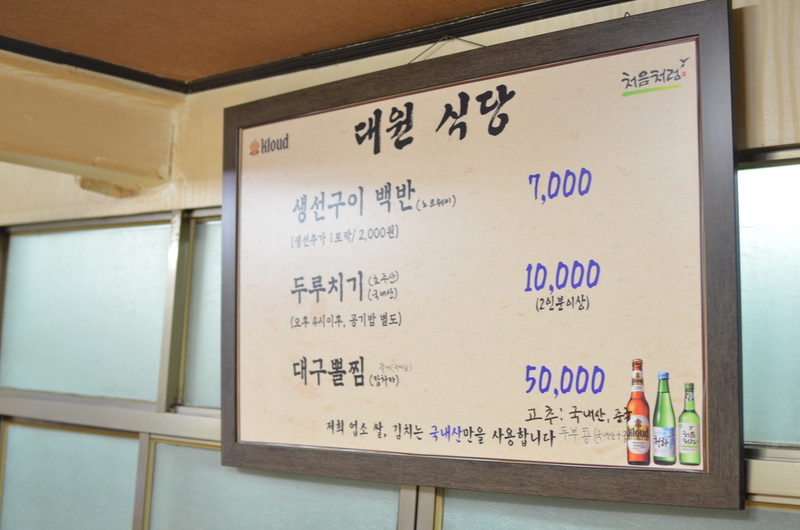 soju, makgeolli) as they recently added anju for those who need to unwind after a long day’s work.